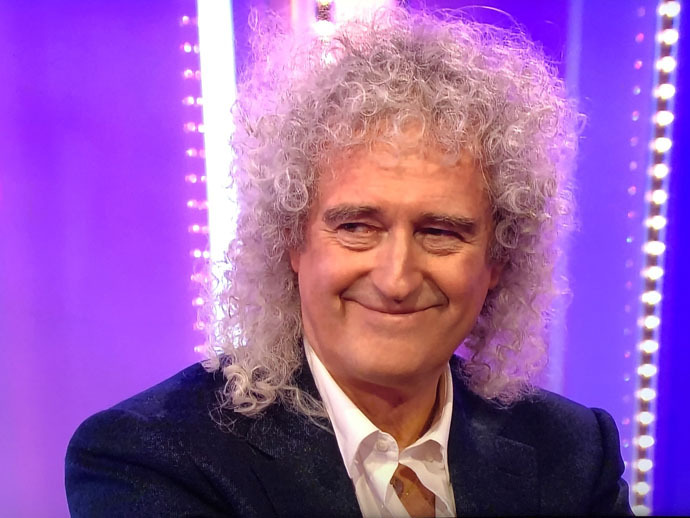 Brian May appeared on BBC One’s The One Show tonight (7pm) and stayed on the show for 35 minutes. The atmosphere was relaxed and was an enjoyable visit. 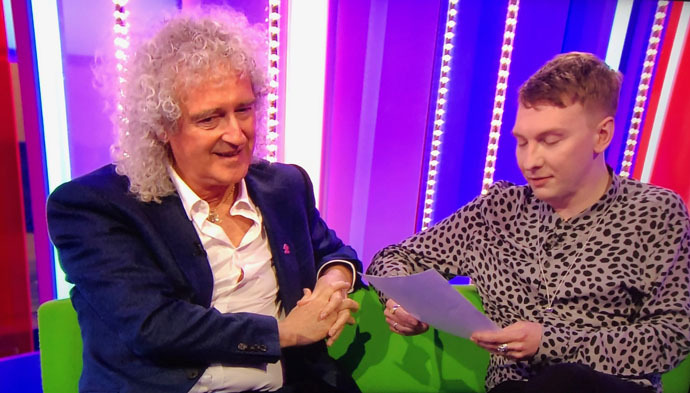 Fellow guest was comedian Joe Lycett. 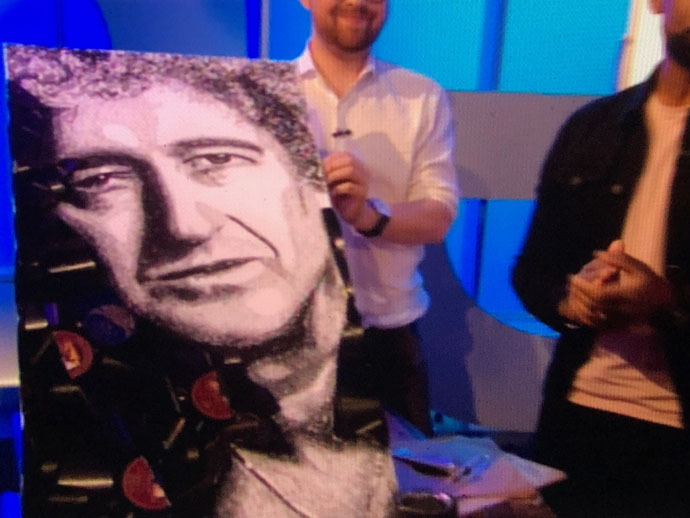 Brian spoke about the Oscars, New Horizons space mission and his new track “New Horizons – Ultima Thule Mix”, being released on Record Store Day in vinyl. A short clip from the promo shown. 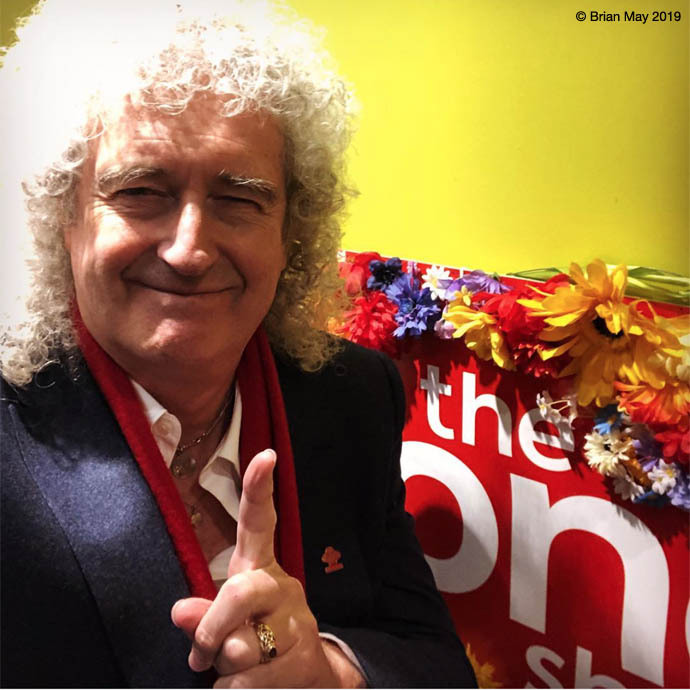 Brian also showed his “Queen In 3-D” book, which he talked about, as well as demonstrating how to use the stereo OWL viewer. “All is colourful at THE ONE SHOW ! I’m on around 7 !